Previously a Sr. Financial Analyst at Dell, Inc. I am an experienced and affordable tutor. I focus on helping both kids and adult students in the following subjects: Chinese, ESL, algebra, finance, accounting, and resume writing. My extensive experience in the finance industry also allows me to help students with their resumes and preparing for interviews. I have experience working with middle schoolers, high schoolers, and adults in math, Chinese language, and accounting. The ESL and Chinese tutoring experience included both 1-on-1 tutoring as well as small group tutoring (2-3 kids). In addition, I have experience teaching a large group of 30 adult students in accounting. I believe in creating customized lesson plans that fit the student's needs. The Chinese lessons are creative and interactive to help engage students. The accounting and math lessons focus on strengthening fundamental understanding of concepts so the students are set up to solve more challenging problems. Of course, the most important trait that any tutor can have is patience, and I have got that. Feel free to contact me with any questions and I look forward to working with you. I was born in Taiwan and raised in Taiwan and the US. It is the bilingual and multi-cultural upbringing that sparked my love for languages and traveling. I started helping people learn languages because I understand the challenges of learning new languages and assimilating to new cultural environments. Having lived in 7 countries spanning from the Middle East to Asia and traveled to 43 countries, I think I am pretty good at doing this! My academic and professional achievements led me to help people in other subjects. For example, I am a Fulbright Scholar. I passed the CPA exam, I have a certificate to teach Chinese as second language from National Taipei University of Education, and I also have a certificate in Islamic Finance. Read my profile and ask any questions you may have! After updating my resume, I requested Rebecca to have a quick look at it and proofread it. I was expecting a quick answer stating if there were any errors. Instead, I was pleasantly surprised when Rebecca got back to me with a thorough review of my resume. First, she went through line by line not only checking for grammatical errors, but also making suggestions on how I could change the bullet points to sound more professional and appropriate to my industry. Secondly, she made suggestions about the layout, content, length and format of my resume. After following her suggestions, I can say without a doubt that my resume got the perfect face-lift it needed. Rebecca is brilliant and the quality of her work is outstanding. I recommend her without any reservation. I have been working with Rebecca consistently for the last month and plan to work with her for the remainder of my course as she has been extremely helpful! She takes her time with me and makes sure I understand the material we cover each session. Definitely recommend her to anyone struggling with accounting! We have worked with Rebecca for Mandarin tutoring for our two young children in elementary and preschool, and my wife and I are both really happy with the quality of her tutoring. She's able to work with both children, and divides her time between them, so that she's doing age appropriate content for each child, as well as shared tutoring time where they're both working together. She sends us feedback emails after each session, which is incredibly helpful, so that we know how they did and what material they covered. She's always prompt and responsive -- I highly recommend her! I have been in charge of a tutoring center as an administrator and an instructor in Taiwan for 6 years with 300 students ranging from primary school to senior high school. I know Rebecca's ability to perform from our time at Columbia University. Therefore, when I was looking for someone to help my students with conversational English, I thought of Rebecca. Starting in 2014, Rebecca has been helping my students, semi-privately, improve their abilities to converse in English via Skype lessons. Based on my observation, Rebecca has several strengths: 1. Rebecca is extremely patient. She repeats sentences in a slower speed and rephrases the sentences/concepts as needed. I believe patience is the most important trait of a teacher and Rebecca has it. 2. Rebecca is great at student engagement. For example, she picked conversation topics that are interesting to teenagers. The students feel comfortable around her and look forward to having lessons with her. Lessons are fun to the students, not a chore or waste of time to them. 3. Rebecca is able to tailor to every student. While the lessons are semi-private, Rebecca recognizes that each student is different and incorporates different sentence structures and vocabulary to work with the students. I am confident in recommending her as a conversational English tutor. I currently serve as a curriculum and instructional specialist in the fourth largest school district in the US. Having previously worked with Rebecca, I have observed her meticulous and focused approach to planning, which allows her to effectively meet the needs of her students. Her content knowledge and interpersonal skills allow students to feel safe and supported while discussing complex ideas. I recommend Rebecca to anyone who seeks a grounded, organized and content-savvy tutor. As someone with an extensive background in education (I was a public school teacher for three years and a private tutor for approximately 15 years), I was impressed by Rebecca's ability to process challenging material and convey these concepts in a simpler format. I had first hand experience when she led a group of her colleagues in graduate school through a challenging set of quantitative analysis/problems to success. Rebecca is on task, extremely organized, intelligent, and works well with others. I recommend Rebecca as a results-oriented tutor for example in quantitative subjects and ESL, as she is also fluent in Mandarin. Rebecca is fantastic! She is able to combine real world experience with academic knowledge to bring Finance and Accounting concepts to life for people. 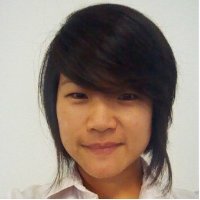 She is skilled at taking the most complex concepts and communicating them in a simple, easy to understand manner. She is responsible and committed to seeing her students succeed. Rebecca was fantastic! She was great with my 4 year-old, teaching him Chinese with lots of energy and patience, and most importantly, she made it really fun for my son to learn his Chinese! She asked what my son likes to do and eat and then used words and vocabulary that my son can easily relate to. She also used lots of visual cues and some fun toys to facility my son's learning. Overall very satisfied with her tutoring and my son looks forward to his Chinese lesson every time! Excellent Tutor — Rebecca is a fantastic tutor. She is knowledgeable and patient with her lessons. She will review the steps of working problems until you are able to independently complete the problem or question on your own. I also liked that she is professional and always on time, even early for lesson appointments. Rebecca is responsible and reliable, being quick to respond to emails, phone messages and texts. She is encouraging and boosts your confidence before exams and is genuinely happy to hear good reports of exam grades. She cares about her student a lot. Working with her is both productive and fun!!! Excellent tutor, will continue to work with her in the future....THE BEST!! !